The all white kitchen is becoming a thing of the past with people wanting to put their own personal stamp on their kitchens. Not only are dark coloured kitchens increasing but also matte black fixtures and hardware are growing in popularity. This client opted for matte black handles to add a contrasting industrial edge to their traditional Shaker style kitchens. Following this trend, tap manufacturers are also having to re-think their offering. 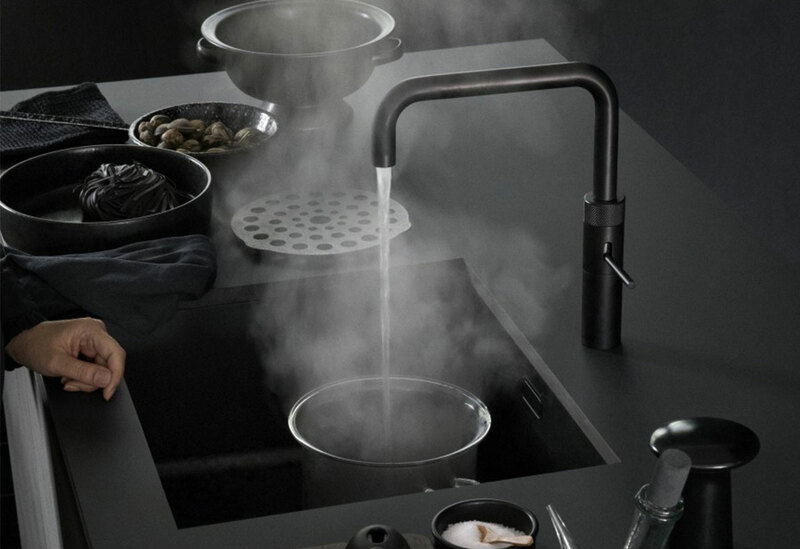 Quooker are the most recent brand to have also tapped into this trend and released a black version of its fusion tap earlier this month. Continuing from last year we are still designing lots of kitchens with two different cabinet colours. 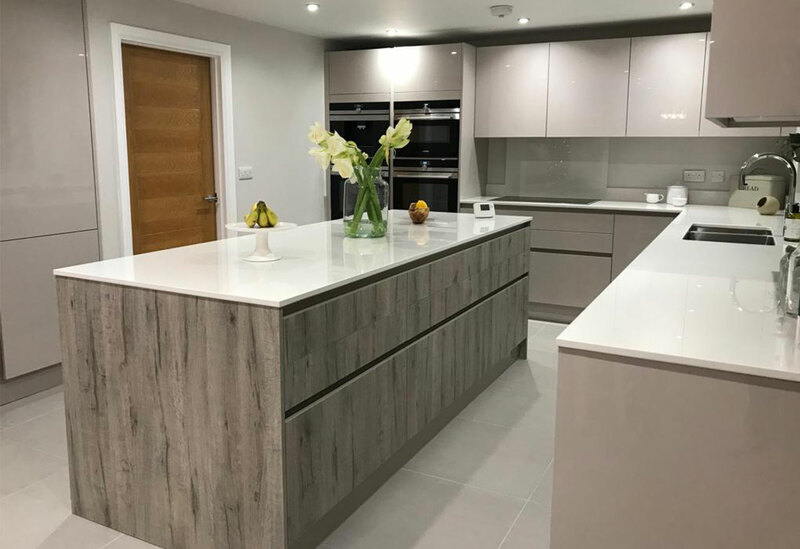 Not only two different colours but also different textures and finishes too such as wood effect cabinets next to gloss painted cabinets as seen here. As our kitchens become ever more the heart of the home, a place where we eat, cook, entertain and spend a lot of time, the storage needs also increase. It is for this reason that people are seeking kitchens with maximised clever storage solutions. Masterclass have a variety of kitchen storage solutions for even the smallest of kitchens. 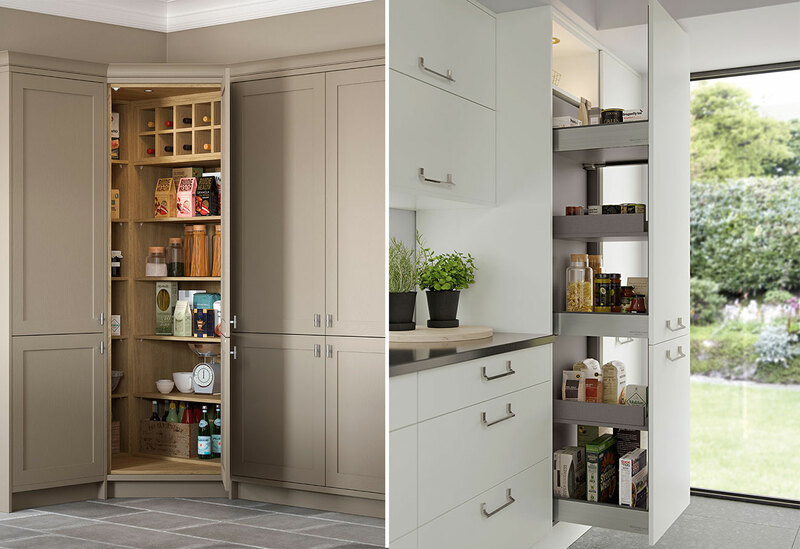 From their signature corner pantry that makes the most of awkward corner spaces to pull out larders available in a range of widths and heights to suit many different spaces and lifestyles. 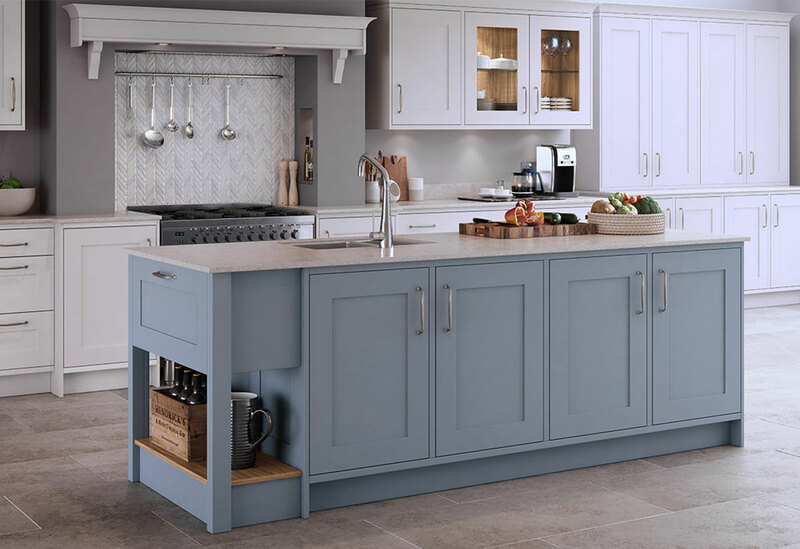 As well as more integrated storage, more open storage such as open shelving is also becoming more popular, giving the kitchen a more personalised, lived in feel in keeping with the rest of the home. It also opens up the kitchen, as lots of wall cabinets can often make a kitchen feel enclosed. 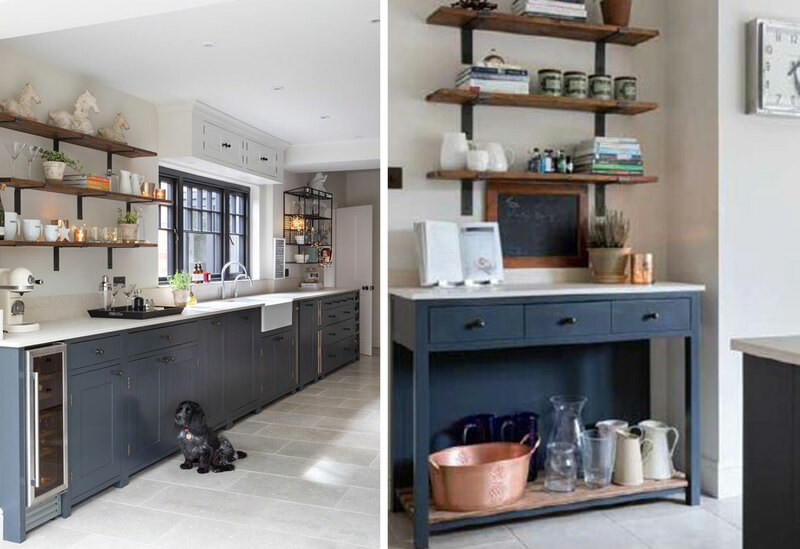 Similarly we are also seeing an increase in open freestanding units such as the Neptune Potboard or the Masterclass open ended island ‘Chef’s table’ both shown above. We will continue to see integrated appliances become more streamlined and seamless but also more smart too. 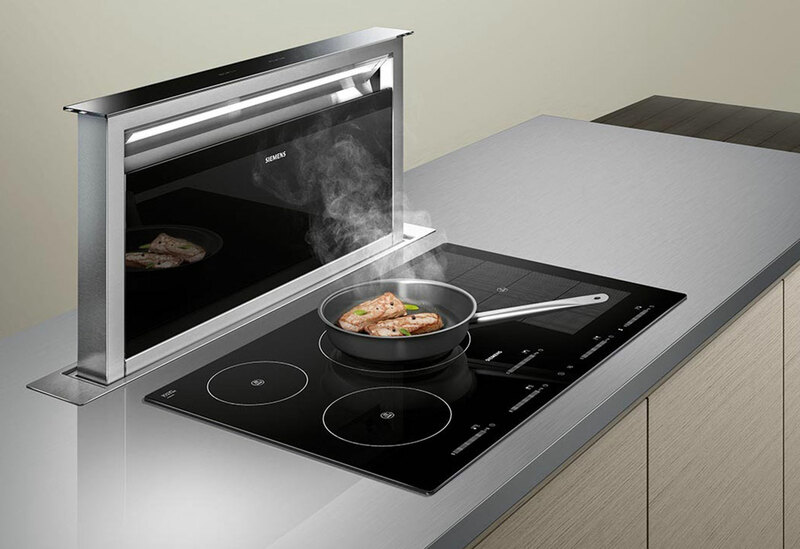 Induction hobs continue to be popular and now come alongside downdraft extractors that are set into the worktop behind the hob, hidden from view, emerging only when needed. Appliances from Siemens (and later this year, Neff), can also now be voice controlled through Amazon Alexa with their Home Connect function, allowing you to send recipes to your oven and coffee requests to your coffee machine with the appliances alerting you when the task is complete.